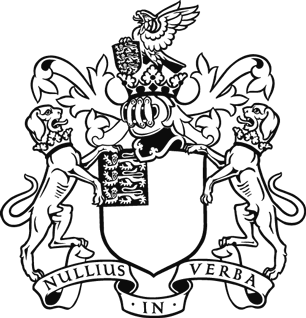 Today the Royal Society celebrates Anniversary Day. 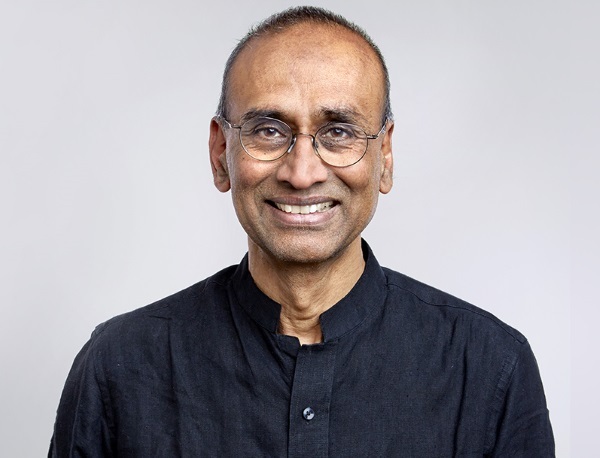 Venki Ramakrishnan, President of the Royal Society, delivers his Anniversary Address. "As always seems to be the case these days this has been quite a year. Today I want to explore some of the key issues facing the science community and the Society’s engagement with them. "They are – our future relationship with the EU and more generally with other countries; science funding; and what is needed to make optimal use of funding. "Science has been a global enterprise for many centuries, and one reason the UK has maintained its strength as a scientific nation is its openness to ideas and talent. The Society had a foreign secretary before the government and from our very earliest days we sought information from scientists residing abroad as well as travellers and explorers who journeyed to foreign lands. Their findings were often first reported in our journals. We have been open not just to ideas, but also to people. I have often pointed out that three of the last five Presidents of the Royal Society were immigrants – including myself. Scientists by the very nature of their work tend to be international in their perspective, and perhaps this is why the science community was so strongly in favour of remaining in the EU. "A number of people have recently asked why I am nevertheless relatively upbeat about the prospects for science. Brexit may have called that internationalism into question but I believe it is alive and well in science. We have a long history of looking beyond our shores to bring talented people and new ideas to the UK, and there remains very strong support in the science community to continue to be open. "Encouragingly, all the evidence suggests our Government too understands the importance, both of science itself and of the need to remain open and global. Science has been one of the Government’s 12 priorities for Brexit, and while lacking in detail, the Government’s position paper on Science and Brexit said all the right things in terms of the importance of scientific collaboration with Europe, and a willingness to make a deal on science. Having been twice invited to Chevening House by David Davis, the Secretary of State at the Department for Exiting the EU, I have seen a real desire to prevent Brexit from harming our scientific endeavour. "Moreover, our colleagues and friends in the rest of Europe also share the desire to maintain strong links with the UK. All of the Officers and Julie have visited many colleagues across Europe in the past year and the appetite for ongoing collaboration is growing, not diminishing. You may have seen a recent article in Science about Brexit co-written by Alex Halliday and Jörg Hacker, the President of the Leopoldina. I believe the desire for a win/win outcome is also strong in Brussels, where apparently Michel Barnier vetted Pascal Lamy’s review of the future of EU research which said that the UK must remain a partner. "We are continuing to reiterate our calls for action to ensure that mobility and collaboration, funding and regulation are effectively tackled in the negotiations. In the short term that means EU citizens working here must not only have assurance that they and their families can remain, but must know quickly what process they should follow and what restrictions they may face. We need them to continue to be welcome, appreciated contributors to our country’s research without added, needless psychological stress. The Government should extend its commitment guarantee on Horizon 2020 to the full life of the scheme. Beyond that, a Brexit agreement should include participation in the EU Framework Programme 9. In the long term, we need an immigration system that while rigorous is also efficient and without unnecessary bureaucratic hurdles for highly skilled people to come to the UK. "While much of our attention – and that of the Government – is focussed on Europe, we must not forget matters close to home. Recent years have shown that the Government understands the importance of science for a high-tech, knowledge-based economy. Even in times of austerity, spending reviews have seen flat cash settlements and increases in funding when other sectors have suffered significant cuts. The Government has now committed to raise the fraction of GDP spent on science from the current 1.68% to 2.4% within ten years, with a longer term goal of 3% – in line with calls from the Society. While this is very welcome, the challenge for the Government will be to increase its own share eventually to 0.65% of GDP, the current OECD average, while providing incentives for the private sector to increase its share accordingly. "Last week’s budget saw science and innovation get very high billing. There was, among other things, an additional £75 million to support companies using artificial intelligence, and new PhDs in the area. This week’s Industrial Strategy, with its focus on grand challenges such as clean energy and ageing, also bodes well for smart investment. I was pleased to see an emphasis on infrastructure being a central pillar – we already have a very strong network of research centres across the UK and they can reach out even further into communities to help create jobs and wealth. "There was also one other relatively little reported item in the budget that I think is significant in terms of playing to our strengths. That was the announcement of funding for a new ‘Centre for Data Ethics and Innovation’. The Royal Society and British Academy called for the creation of a body like this in our report on data governance. The UK has always been known for its proportionate approach to regulating emerging technologies. It allows new areas of innovation to thrive with public confidence. This can hopefully allow us to grow our strength in machine learning and AI research. No doubt regulation will emerge as a very significant element in Brexit negotiations but the establishment of this new body sends a positive, progressive signal. "Money for science is only one part of the equation. A second part is developing a work force with the appropriate education and skills – a workforce that is more productive. In our reports on machine learning and data governance we have emphasised the importance of education in giving young people the skills they will need in an ever-changing workplace. The need for change was made very clear in our recent Society report on computing in schools which showed that 54% of schools in England are not offering computer science at GCSE. So it is welcome that in the budget, there is also investment in computing education to create the digitally literate workforce of the future and investment in getting more young people to study mathematics. "The money committed to education in mathematics and computing is welcome and is part of a larger need. We need to be prepared for a rapidly changing and increasingly interconnected and technology-rich world, in which there will be many new opportunities but where there will also be disruption across many industries that could impact people’s livelihoods. All of this creates a need for greater career flexibility. "Our current A-level curriculum has been around since 1951 and other than the occasional brief flirtation with broadening their scope they have maintained a focus on a small number of subjects. The A-level model in England is one of the narrowest upper secondary systems in the world, and it is becoming even narrower. As a result, the UK risks falling behind its global competitors. "How we invest the money also matters and it may be one of the reasons we have maintained global leadership when we have not always matched other countries’ funding. The UK is fortunate to have an appropriate diversity of research funding sources and institutions. We have direct core support to universities to maintain infrastructure and help young investigators. At the same time, we have grants and fellowships from research councils, charities and academies like the Royal Society. We also have a diversity of institutions, from the universities that promote a variety of innovative research and train the next generation of scientists, to specialised research institutes or laboratories that have the stable funding and resources to tackle long-term, large-scale problems. This balance between bottom-up and top-down funding allows us to tackle a diverse range of research problems from directly applied to very basic fundamental research. Diversity is important in science as well as in investment, and we should nurture the ecosystem we have. "It is only in the last hundred years that science has been supported to a significant degree by public taxes. Governments and the public are happy to do this because of a shared belief that scientific research benefits society. This has led to an explosion of science from a small, largely private endeavour, often restricted to a small group of mostly independently wealthy gentlemen or people they patronized, to the huge industrial scale enterprise it is today. It is therefore natural, and even essential for government to ask scientists to help provide solutions to some of the most pressing needs, from health and medicine to energy, digital technology and manufacturing. "At the same time, we need to recognize two other aspects of funding research. The first is that the UK has in some form or other, subscribed to the Haldane principle, in which governments can set overall priorities since it is they who are elected by citizens to spend their taxes, but it is scientists who decide how funding should be spent towards accomplishing those broad goals, because it is they who have the requisite expertise. In the past, this has been interpreted broadly in every advanced country. So, for example, the MRC in the UK and the NIH in the USA have spent a great deal of money on very basic research in biology as part of their remit to improve human health because scientists decided there was a need to understand the basic biology to best tackle disease. "With the increasing emphasis on using science to solve the short-term productivity growth problem as well as tackle pressing needs, it is important to yet again make the case for basic science. Basic science is important for its own sake, because it increases the store of human knowledge. However, this knowledge finds use in the most unexpected ways, sometimes decades or even a century later. Two examples pointed out by Robbert Dijkgraaf in his essay The World of Tomorrow (as part of the new edition of Abraham Flexner’s The Usefulness of Useless Knowledge) are particularly illuminating. One is superconductivity, which was an example of a very basic discovery that took several decades to explain in theoretical terms. It led to superconducting magnets that are now routinely used in medicine in MRI instruments. They are also used in NMR machines to study the structure and properties of molecules in chemistry. And in full circle, superconducting magnets are an essential component of high-energy accelerators that led to the discovery of the Higgs Boson. This example of a fundamental discovery driving technology and applications which in turn drive future fundamental discoveries in a highly non-linear way is very common to science. An even more unlikely example is the special and general theories of relativity. One would have thought fundamental knowledge about the fabric of space and time would not have practical applications. Yet a hundred years later, relativistic corrections to time signals from satellites are the basis of the GPS in the millions of smart phones today. Virtually every area of fundamental science has resulted in transformative technologies, which in turn enable new fundamental discoveries. "In the long run, far more than incremental improvement of today’s knowledge, basic science provides a fantastic return on investment by creating entirely new transformational industries. Nevertheless, it has been argued that one can use the knowledge from basic science no matter where it originated so there is no particular benefit in investing in it. This argument does not appreciate the interconnection between basic and applied science. Neither can exist without the other, and it is not possible to have cutting-edge applied science in a vacuum. There are other advantages to having basic science done in close proximity, such as agglomeration effects and what is called the first-mover advantage. It is the reason that new technologies the world over have developed around top research universities making fundamental discoveries, such as the Bay Area or Boston in the USA or Cambridge in the UK. "It has also been argued that the economic benefits of basic science generated in the UK have too often accrued elsewhere, especially the USA. This is hardly an argument for not investing in basic science. Rather it is an argument to encourage knowledge transfer and entrepreneurship, as well as creating conditions for a thriving patient capital market. There was a time when private industries invested a great deal in basic science, e.g. Bell Labs, Dupont or GE in the USA, or the ICI in the UK. With industry focussing increasingly on short-term applied goals, we must ensure that public investment in science does not make the same mistake. In this context, it is gratifying that the Royal Society has always stood up for the value of science of all types from the very basic to the highly applied. This year the Royal Society will celebrate 35 years of our University Research Fellowship. These highly prestigious fellowships are awarded purely on ability, originality and creativity, without any consideration for whether the science has any immediate application. The same is true of our Royal Society Research Professorships. We must ensure that these values, which over the long run have dramatically improved our lives and are an essential part of our culture, continue to be upheld. "The uncertainty in the political landscape that became an unexpected challenge in my first year continues to this day. However, for science, I remain optimistic. We need to ensure that we remain strong advocates for the right sorts of decisions for science and more generally for the country. "Finally, the Royal Society greatly benefits from a dedicated staff, led by Julie Maxton, our Executive Director. I have also benefited from the collegiality and advice of my fellow officers, council members and many individual fellows. "I thank all of them. I am now at the end of my second year as your President, and have matched William Crookes’s term. Barring unforeseen circumstances such as death or impeachment, I look forward to continuing to serve you for the next three years."